Timberline’s ethical approach to client representation provides the best possible resolution to Federal and State tax liabilities. Our experience and expertise moves our clients past their stressful financial situations as quickly as possible. Whether it is negotiating a release of garnishment, lowering a monthly Installment Agreement, or working with the IRS to settle a tax debt, our Enrolled Agent’s high standards of representation guide you through the process efficiently and effectively. “We exist to elevate you from a case number to a unique person or business in need of tax liability relief.” Our goal is to ensure we handle your tax liabilities as quickly as possible and that we teach you how to avoid future issues with taxing authorities. Timberline’s strategies are not one size fits all. We study your unique financial situation and create a strategy and plan that is personalized to your situation. In all cases our first step is to protect you. And your good name. We are so confident that our expertise and proven process will bring you a sigh of relief that we offer a money back guarantee. If you hire us and within the first 15 days you are not satisfied with Timberline Tax Group’s representation, we will refund any money paid. We Protect Your Time – Dealing with IRS and State tax authorities take time, much of it on hold as you wait to speak with an agent. If you call more than once, you will likely have to deal with more than one agent. A Timberline tax resolution advisor can perform these tasks for you. We Meet Time-Sensitive Demands – Virtually any IRS issue requires immediate action. We can offer a tax solution that’s affordable to you and expeditiously meets their established timeline. We Clarify Your Situation – Our team of tax resolution advisors are well-versed in IRS and State tax procedures and know how to secure an affordable, legal solution to your tax problem. There may be several options for which you may be eligible, but typically one will be best. We will explore the available options and determine what’s right for you. We Find the Right Solution – There are several tax resolutions for which you may be eligible, but the IRS is not required to share these with you. Our Enrolled Agents can carefully examine your options to ensure that you can pay what you are legally required. We’ll then fill out all of the required paperwork completely and accurately on your behalf. We Guarantee Your Satisfaction – If within the first 15 days you are not satisfied with Timberline Tax Group’s representation, we will refund any money paid. No questions asked. At Timberline, we take the time to get to know your unique tax situation individually. We then use this information to not only find the best tax resolution possible but then represent your good name with the IRS, elevating you from being just another number to an individual, family or business in need of immediate tax relief assistance. Rian is an Enrolled Agent with over 16 years of experience in the tax resolution industry. 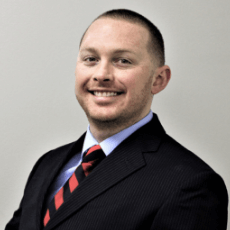 He holds a Business Management degree from Colorado State University and takes pride in developing a personal rapport with his clients during the representation process. He is a member of the National Association of Enrolled Agents (NAEA) and the Colorado Society of Enrolled Agents (CoSEA). Rian enjoys playing golf, attending Colorado Rockies baseball games and exploring the great outdoors of Colorado with his two children. Travis is an Enrolled Agent who has been managing client cases for over ten years. He has a degree in business management and prides himself on providing the best possible representation for his clients. 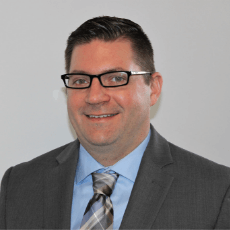 He is a member of the National Association of Enrolled Agents (NAEA) and the Colorado Society of Enrolled Agents (CoSEA) and specializes in case resolution across the United States. Travis is an accomplished hiker who enjoys climbing Colorado’s 14,000 foot peaks. He also enjoys snowboarding, mountain biking, and camping with his wife and three kids. 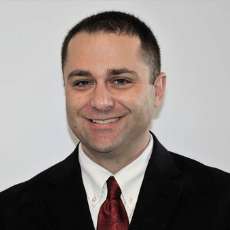 Adam is an Enrolled Agent with his law degree from Florida State University, with years of tax resolution experience. He hails from the sunny shores of Florida, but has found his true home in the snowy peaks of the Rocky Mountains. He is an avid outdoorsman who enjoys trophy fishing, skydiving, and all of the outdoor activities that Colorado has to offer. When he is not battling with the IRS, he enjoys spending time with his fiancé and dog Zeus. His lifelong aspiration is to summit Mount Everest. 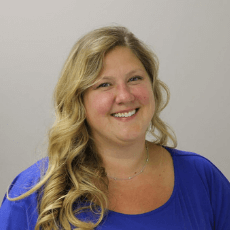 Carisa is an Enrolled Agent with several years of experience working in tax resolution. With a Master’s in Education and Training, her previous experience in business management gives her an in depth understanding of the importance of assisting business owners in gaining and maintaining compliance with their tax obligations so they can focus on managing their business as efficiently as possible to ensure profitability. In her free time she enjoys freelance photography, and exploring Colorado’s diverse landscapes with her pup Patrick. Sam has previous experience at various Low Income Taxpayer clinics in St. Petersburg, FL, and in Denver, Colorado. After graduating from Stetson University College of Law, Sam continued his legal education by receiving an LLM in Taxation from the University of Denver. Sam enjoys downtime with his English Bulldog, Tank, hiking all over the Front Range, archery, fishing, and most importantly, breaking 80 on the golf course. Brad is an enrolled agent with over 5 years of experience in the tax industry. 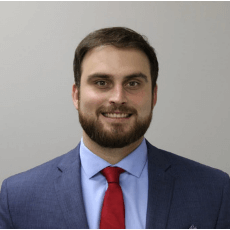 He holds a Bachelor’s in Business Management from Coastal Carolina University, and an Associates in Accounting from Madison College. Brad takes great care in resolving tax issues for his clients, allowing them to focus on what is truly important in their life. Brad is a devoted sports fan and spends a lot of time rooting on his beloved Iowa Hawkeyes and Milwaukee Brewers. When he is not cheering on his favorite teams, he can be found soaking up the sun, playing sports, riding his bike, boxing, hiking and swimming. 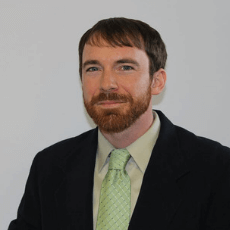 James is an Enrolled Agent with several years of experience in handling numerous tax resolution cases. His previous experience in research labs helps him to handle the finer detail for complex resolutions. James was raised in Pennsylvania, but has called Colorado home for the past decade. He truly embraces what it means to live in Colorado. James has spent years long distance hiking as well as hiking the famed Colorado 14,000ft peaks. When not hiking, he focuses on trout fishing, snowboarding, and various other alpine adventures.